HomeNewsEAVI2020 Photo Exhibition to be Showcased Tomorrow in Paris! EAVI2020 Photo Exhibition to be Showcased Tomorrow in Paris! 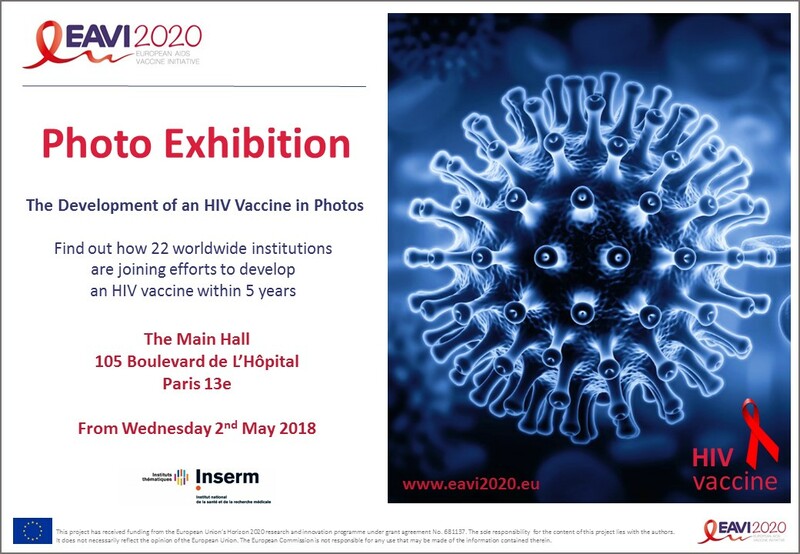 After the success of ‘The Development of an HIV Vaccine in Photos’ exhibition held in Hospital Clínic, Barcelona, we’re thrilled to announce that the exhibition will now be displayed by our Partner institute INSERM (CIMI-Paris). The exhibition will commence on Wednesday 2nd May 2018 in the Main Hall, 105 Boulevard de L’Hôpital, Paris, part of Sorbonne Université.